I had a business trip to Tampa and flew down a couple of days early to see family. After watching the Orioles-Blue Jays spring training game in Dunedin, we had some time to kill before heading to Dunedin Brewery for dinner. 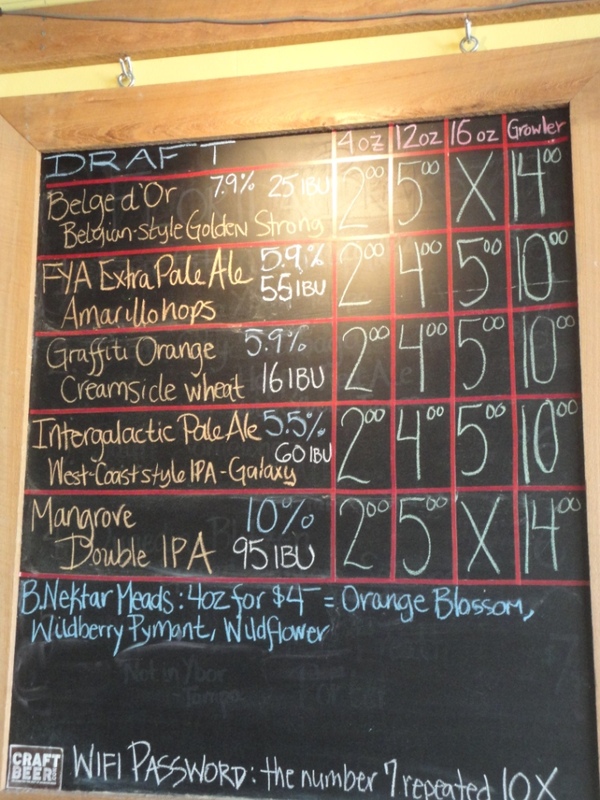 So we stopped at 7venth Sun Brewery, and I admired it so much I went back the next day! 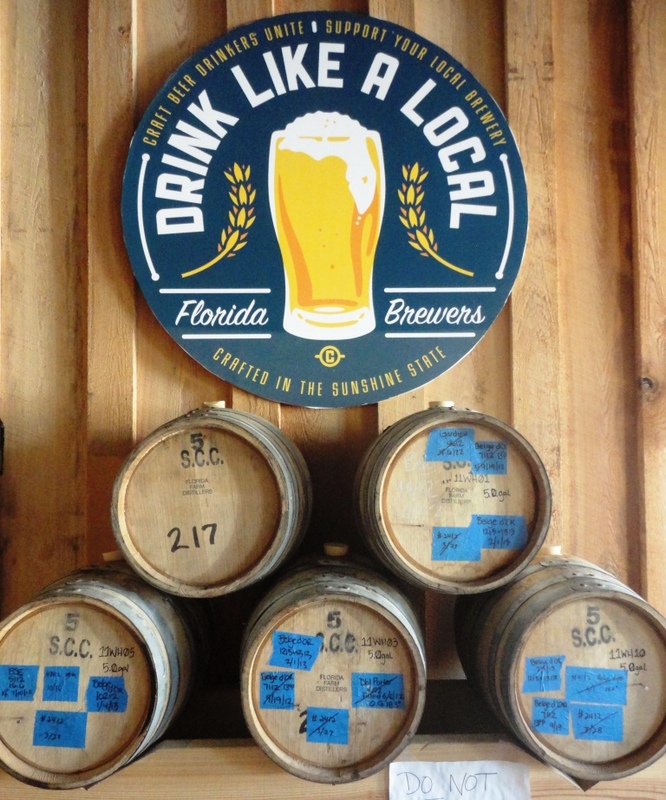 I’ve been exploring the beer scene in the Tampa area for years, but I had never heard of 7venth Sun Brewery. And I probably wouldn’t have found it on this trip, except that it was Tampa Bay Beer Week. Quick aside: Talk about perfect timing…they must have known I was coming to town! This is actually the second such coincidence, after my visit to St. Louis during St. Louis Craft Beer Week. Anyway, there was a great article in the Tampa Bay Times about Tampa Bay Beer Week and the exploding beer scene in Tampa, which my mother cut out of the paper for me (thanks, Mom!). 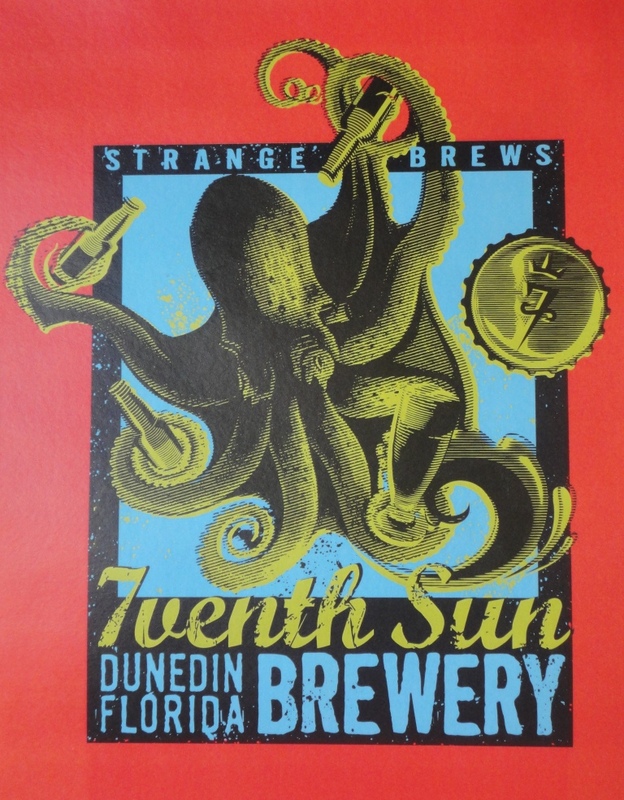 That’s where I learned about 7venth Sun, and lucky for me it was less than a mile from where we had planned to get dinner at Dunedin Brewery. 7venth Sun Brewery is on the end of a small building with a row of store fronts on a busy street, and you might miss it if you don’t look for it. We pulled into the large parking lot and then ambled into the small tasting room not really knowing what to expect. And let me tell you, for what looks like a small operation, 7venth Sun had it going on! I visited 7venth Sun Brewery twice in two days, so you can be sure I would go back again. Why? 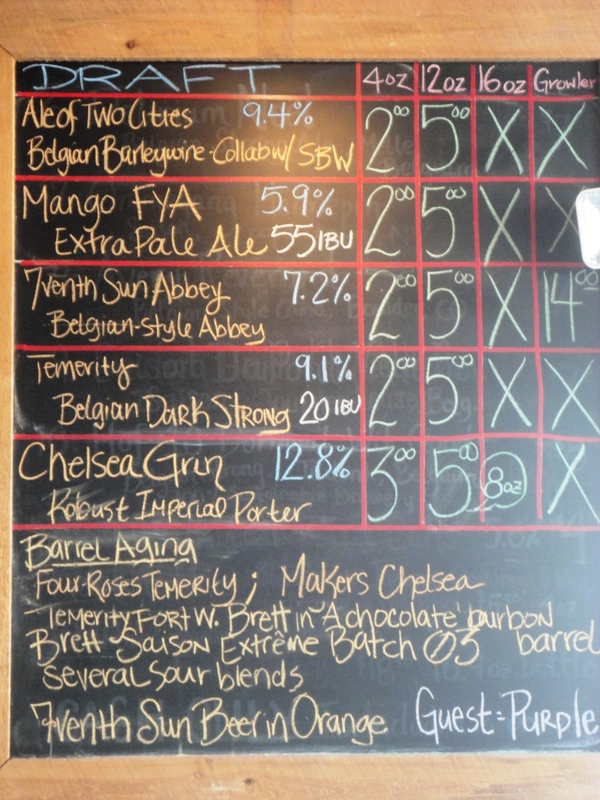 The variety of well-made interesting brews, friendly service, and friendlier locals make 7venth Sun a must-visit. But next time I’m bringing a growler! 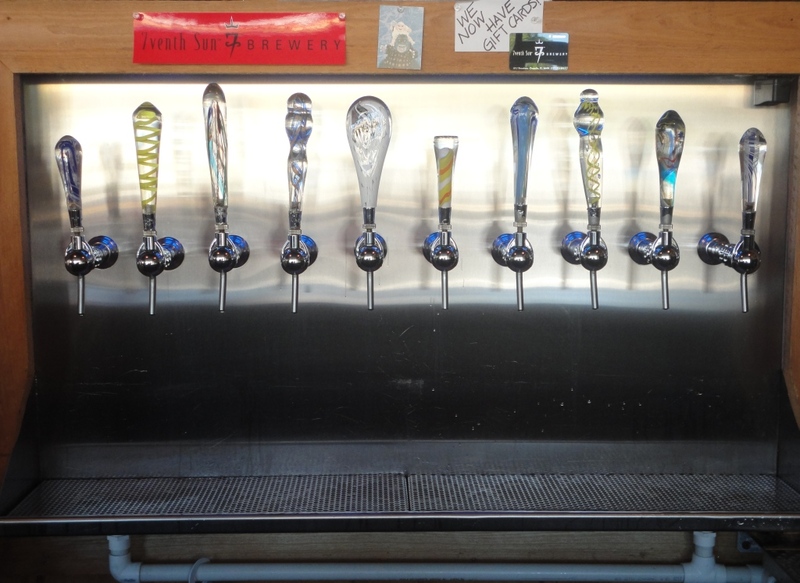 I almost forgot the amazing hand-blown glass tap handles – I’d never seen anything like them. The pic doesn’t do them justice – you gotta see them for yourself.